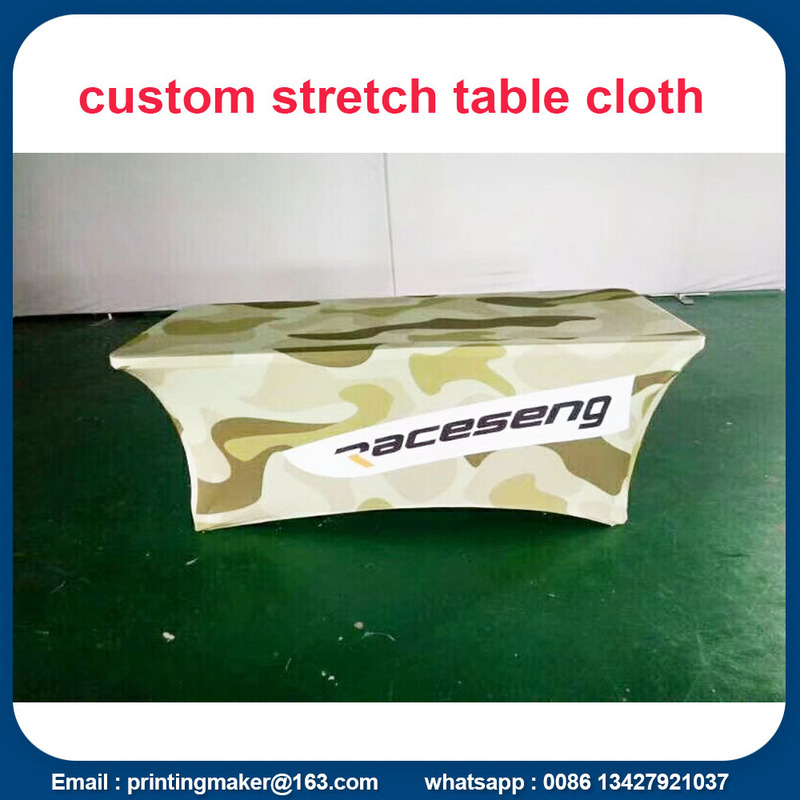 Product categories of Custom Printed Table Cover, we are specialized manufacturers from China, Custom Printed Table Covers, Printed Table Covers suppliers/factory, wholesale high-quality products of Custom Table Covers R & D and manufacturing, we have the perfect after-sales service and technical support. Look forward to your cooperation! 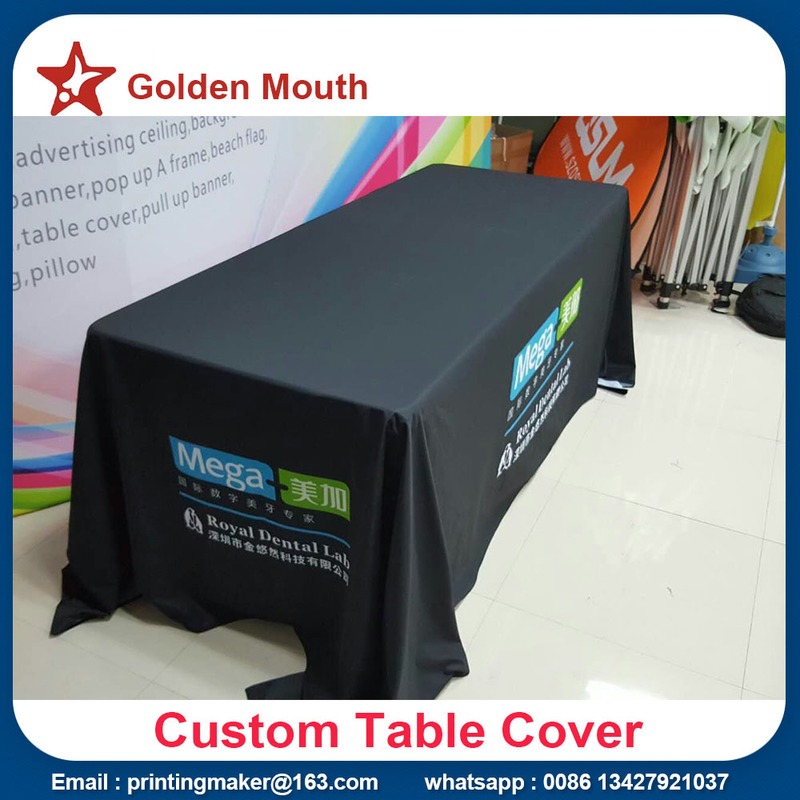 Our tablecloths are produced from knitted polyester,240g stretch fabric ,600D oxford fabric, and are dye sublimation printed or digital printing . 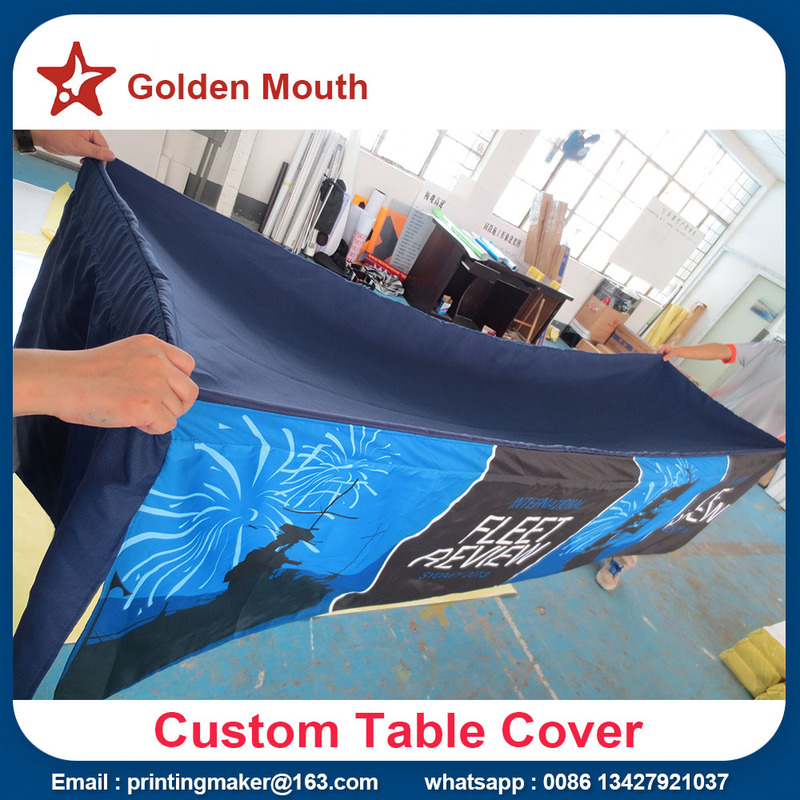 We print full color onto the table covers, any color we can print on it with CMYK color .And the tablecloths are washable ,you can use them for times. All of our table covers can be custom graphic printing (inc logo ,brand ,product ,service ect) !